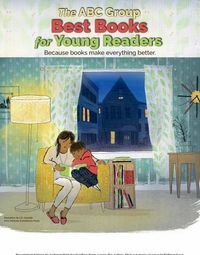 Orders from ABA members for the 2017 ABC Best Books for Young Readers catalog are due by September 8 via a form on BookWeb.org. The full-color, 20-page consumer circular featuring more than 200 frontlist and backlist titles for children and teen is slated to be in stores in early October. Because the catalog carries no fourth-quarter/holiday branding, it is appropriate for use throughout the year. The catalog cover features an illustration from Windows, written by Julia Denos and illustrated by E.B. Goodale, to be published by Candlewick Press this October, as well as space for the store name, address, and other details.